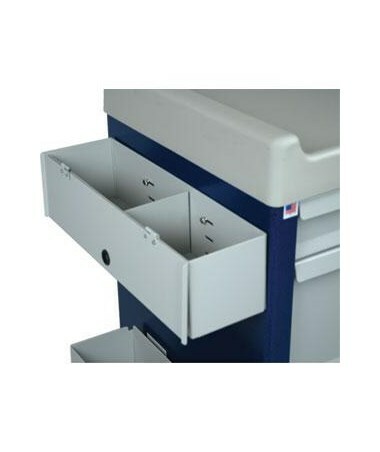 Two Section Holder with lid shown. 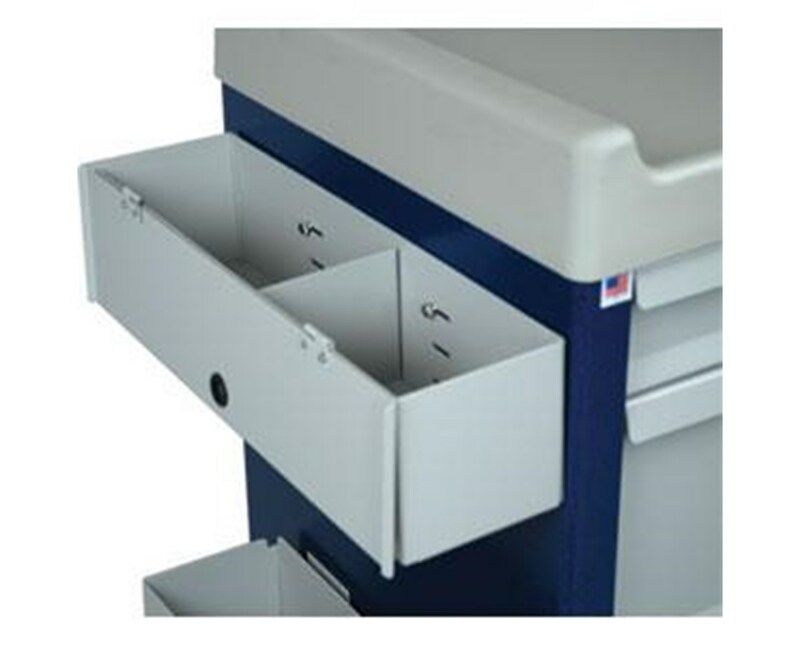 Harloff's Cup and Straw Holder provides an attractive solution to the external storage needs of Harloff medical cart users. 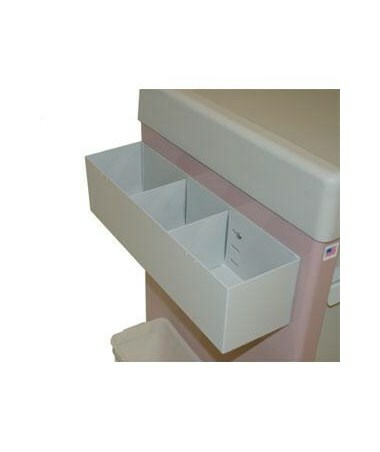 Two or three 5" x 5.5" sections are perfect for holding cups, straws or other immediate-need supplies by attaching to the side of the cart using pre-drilled accessory holes. The holder comes in two-section or three-section sizes, with or without a lid and measures 5.5" H x 19.5" W x 5" D. Select from the drop down menu above and order online direct by clicking "add to cart!"